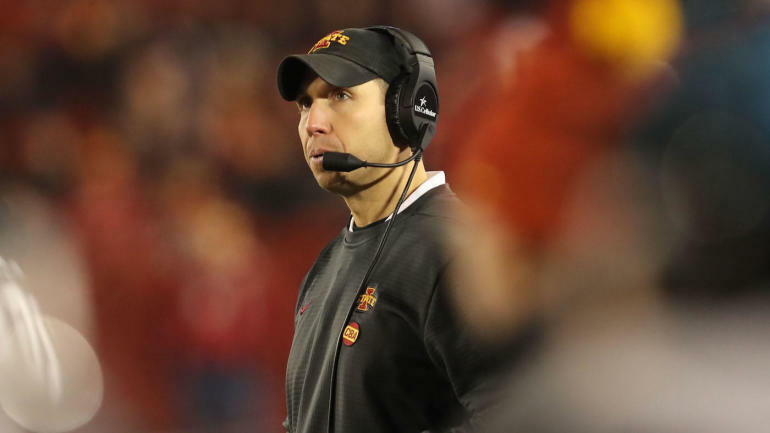 In the US state of Iowa, two players played Friday night against the Alaska Bowl for playing in the first half of their Alamo Bowl meeting, and the second player almost took Cyclones coach Matt Campbell with them as well. Although there was no dispute over the first call for Willie Harvey in Iowa State, Campbell did not agree with the call to reach the target, which had Eyiomoa Uwazurike thrown, and informed the officials. -7 lead, and reruns showed that an offensive lineman at Washington State had made an obvious false start on the unspecified touchdown. It was a tough night for the officials overall. They returned a ridiculed punishment and missed an obvious attack on an offensive lineman in the state of Iowa in the final zone, which should have led to a security for the state of Washington. Over time, Iowa State struck in half through a 51-yard field-alamo-bowl-record goal to shorten the lead to 21-10 at break time.